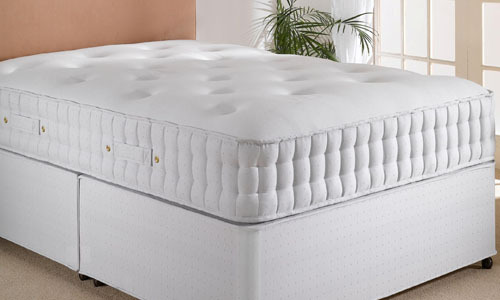 The Bed Butler Emperor 1400 Memory Mattress combines the outstanding advantage of using pocket springs and Memory Foam. The exceptional care taken in the manufacture of our mattresses ensure that it will give you excellent support and comfort for many years to come. The pocket springs are topped with 75 mm of the latest specification of memory foam. 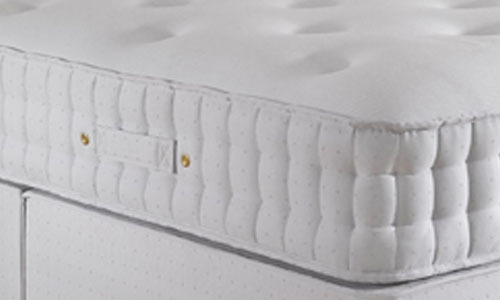 Memory Foam has many advantages, including the ability to mould itself to your body contours, creating an individually tailored surface giving optimum level of support and comfort over the whole length of your body. This also has the benefit of moulding to individual peoples bodies when sharing a bed, whereas a normal mattress will always have the same degree of support to both partners in a bed. The mattress is finished in the finest cotton fabric which has hand tufted pom-poms holding the mattress together. The softness of the pom-poms makes for a smooth comfortable surface. The borders are double hand stitched to secure the pocket springs and foam to the edge of the mattress so that there is the same support over the whole surface of the mattress.